At its best, live music adds spice to life and brings people together. Of course, concerts are generally most enjoyable if you share them with one or more valued companions. If you want to make your concert night an absolute success, consider booking transport through Legacy Limousine Services. We are proud of our professional reputation and we’re always looking to introduce new people to a different caliber of transportation services. Our highly selective staffing standards provide a firm foundation for our company. Before joining our transportation team, every applicant must prove themselves by passing drug screening and routine background investigation. We do whatever we must to ensure our clients access to safe transport. After our chauffeur team and our professional reputation, our most important asset is our luxury transportation fleet. Beyond the classic stretch limousine, the public knows and loves, we also transport in stylish Hummer and Escalade limousines. All of our vehicles are hip, late-model vehicles that are almost certain to make great impressions. Nothing speaks to your class or sophistication like arriving at a concert in a limousine. Alternately, you might prefer one of our dignified luxury sedans. If you are headed to your concert with a larger group, simply book one of our renowned party buses. These stylish buses are sleek and tasteful on the outside and indulgently luxurious on the inside. Besides comfortably sitting a dozen or more passengers, these high-tech coaches feature all of the amenities and extras you could ever need. Because there are so many music venues in the area, a California concert limo package makes an appealing gift all through the year. It’s likely you’d be satisfied if you used our service to attend Fillmore West, the legendary California concert venue that is known to music fans throughout the world. In the event that you’ve bought tickets to see a popular weekend concert, driving yourself to the venue can prove challenging. Any day of the week, people grow tired of navigating tight traffic and scouring lots for places to park. With the assistance of a skilled chauffeur, you can start relaxing well before your concert begins. 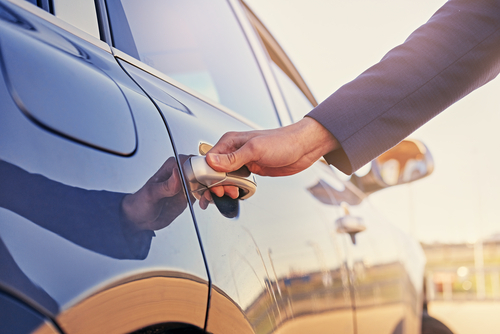 Far from automatons, our chauffeurs are responsive to passengers’ changing needs. Upon request, our chauffeur can swing by Super Duper, one of California’s most beloved regional burger chains. Concerts are often used to build social bonds and reconnect with special people in our lives. You can rely on us if first impressions are important to you. Without sacrificing any amenity, we believe we can keep our pricing competitive indefinitely. On concert night, anything that impedes your schedule can be disastrous. This is why we insist that our chauffeurs are as prompt as they are professional. If you’re planning a big night out that you’ll remember for the rest of your life, limousine service is indispensable. Our chauffeurs know the local road system and have immediate access to GPS devices if needed. To find out for yourself what our California concert limo package is like, simply contact Legacy Limo Service at your earliest convenience.